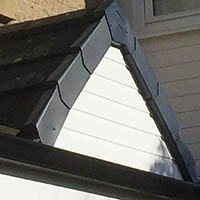 Our Dry Verge system is the ideal option where the existing verge or mortar edge on the gable of your property has cracked or needs renewed. These can also be installed on new built projects. Designed to provide a simple, individual tile cover that gives protection, they are cosmetically appealing, maintentance free and will reduce the risk of wind damage, infestation and water penetration. 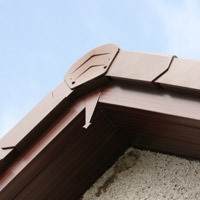 Our Dry Verge system is 100% Weather Proof and provides ultimate gable edge protection. 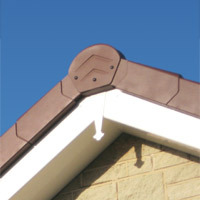 All fixings are concealed and the range is available in 3 colour options to suit the colour of the roof tiles. YOU WILL NEVER NEED TO WORRY ABOUT MORTAR CRACKS EVER AGAIN. 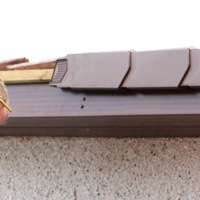 The system secures the whole length of the eaves and is designed to close the gap to prevent birds and rodents getting into the roof space, without the use of mortar.